Creating a new website for any business requires a lot of hard work. One has to focus on site design, domain name, writing authentic content, updating pictures, plug-ins and the list goes on. The main criterion on the mind is making the website active and popular enough to garner the attention of potential customers. However, what most business neglect is opting for the best SEO service providers. SEO is the key to making a website popular. In the World Wide Web, your popularity depends on how well your websites rank on mega search engines like Google and Bing. Both these search engines flaunt authentic algorithms that determine whether your website will rank high on search engines or not. Only the best SEO providers know the nook and cranny of these algorithms and use effective SEO strategies to ensure that your website ranks high on search engines. However, often novice entrepreneurs along with experienced ones end up choosing the wrong SEO service providers, that lead to wastage of money with no results. To understand the art of SEO it’s best to be privy of the basic SEO mistakes. Once you know where the root problems lay you can ensure picking the right service providers to guarantee a successful SEO campaign. SEO is not an afterthought. What most website owners do is focus on website development without paying much heed to SEO. This is not surprising as most start-ups are more focused on the generation of revenue instantly. However, this endeavor isn’t that feasible. The reason being once you get your website up and running, and then consider SEO, you might need to make many changes. As a result, the pre-SEO version of your website is pretty much useless. But, the sad news is you’ve already invested money in it, and now once more it requires complete alteration. So, to avoid this predicament, opt to combine SEO service with website design to attain the best result and maximize use of resources. Everyone in digital marketing knows that content is king, and failing to provide authentic content means you’re giving your competition the upper hand. Most customers today go through useful content before opting to buy a product or service. The content is like the wrapping paper for your product/service, the better the write-up the more convinced a customer gets to invest in it. Additionally, high-quality useful content will allow more CTR’s to your website, thus boosting traffic. A website with good traffic is undoubtedly favored by Google which will work in giving it a higher rank on SERP. Thus, focus on feeding your website with authentic blogs and articles with optimized keywords to ensure your website’s good rank on search engines. Today most people are found glued to their phones and tablets. In fact, by 2019, 90% of people are said to become owners of smartphones. Today, most people even opt for shopping or watching movies on their phones. Thus, if you’re not optimizing your website for mobile phones, then you are losing out customers by the minute. Thus, opt for the best SEO service providers and optimize your website for mobiles. 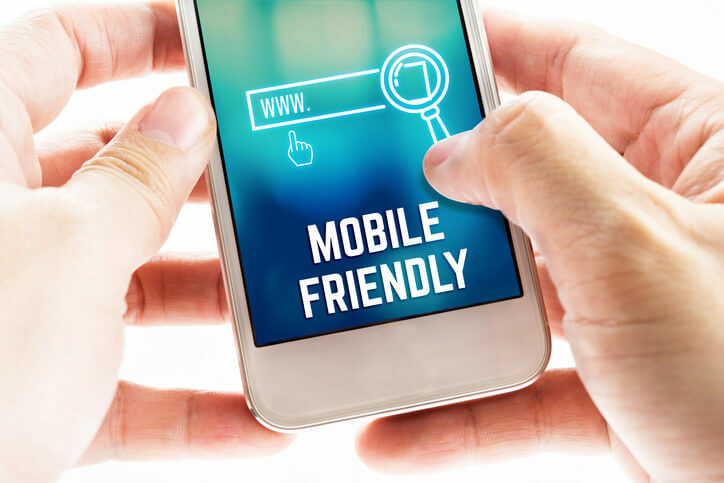 In fact, to understand your present site designs in terms of mobile usability go through Google’s Mobile-Friendly Test to find out how cell phone friendly your site is. Focus on making load time quicker and mobile interface attractive. The entire art of SEO centers on using the correct keywords. You need to find the most used keywords picked by customers and implement them categorically in content to make websites rank. For this, you need to understand your target niche and cultivate their requirements with vigilance. To do this, the best option is to use some of Google’s advanced tools like Google Keyword Planner to find out the most targeted keywords. You can input a ‘seed’ keyword and the tool will find out a variation list dealing with real-world searches. Now, opt for picking out specified keywords that are most suited to your niche to start targeting the required audiences. Another tip to keep in mind is by using moderate keywords. Remember the extreme popular keywords are in continuous use and chances are your competitor has already used them to rank. In such cases, unless you have an SEO service provider that can effectively steal keywords, it’s best to go for moderately popular ones. These low-competitive keywords if used wisely can help your website rank. So, there you go, avoiding these 4 SEO mistakes can assist you in helping your new website rank high on SERP. Good luck!